Like just about every other industry, real estate is flooded with information – a verifiable cornucopia of facts and figures that are subject to interpretation and debate by just about everyone. And that is no surprise. With real estate and it’s related service businesses making up nearly 20% of GDP, improvement in the housing sector is crucial to our national economy and overall growth prospects. 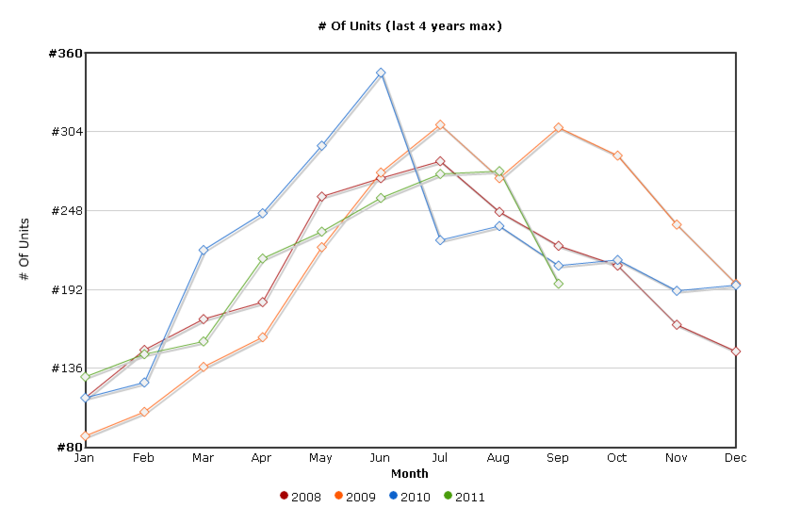 We have updated our home sales statistics for the first three quarters of 2011 and as expected homes sales are down compared to the same period of 2010. In Cumberland County single family home sales were 1,881 in 2011 compared to 2,020 in 2010, representing a decrease of 6.9%. York County sales were down 5.4% over a similar period. The chart below highlights home sales beginning in 2008. Pricing, however, appears to have stabilized. There have been no dramatic decreases in median home prices during the last several quarters and through September 2011 the Cumberland County median single family home price of $226,000 is up .4% compared to 2011. A modest increase – but an increase nonetheless. Looking specifically at southern Maine, beginning in 2000 home prices increased each year, reaching their highest median price level in 2007 at $252,000. We are now at a point where prices have retrenched to levels consistent with 2003/2004. This is not good news for those who bought during the height of the market and are trying to sell now. In addition to the overall economic situation, the high level of inventory is having a dramatic impact on sales volume and pricing. 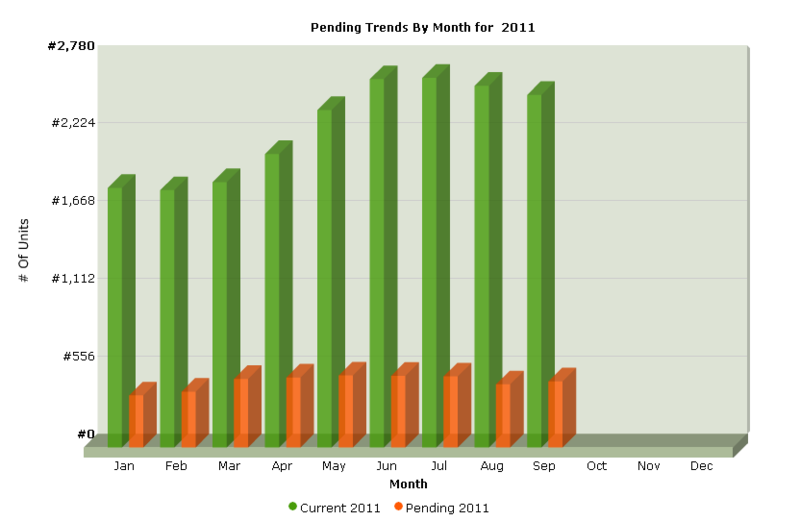 Each month we track the “pending ratio”, which is a measure of homes under-contract vs the amount of available inventory. Although improving from 2010 the graph below illustrates the disparity between the two. The result is significant competition among those homes that do get sold. Sales statistics for each town and city vary significantly. You can access individual town sales updates at at Local Communities on our website. If you don’t see a community you are interested in, let us know and we can prepare a custom report.